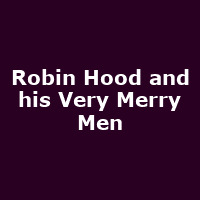 "Join legendary outlaw Robin Hood and his band of very merry men as they rob from the rich to save the poor in this laugh a minute adventure. Featuring live music, and puppetry. With Little John, Friar Tuck, buckets of mud, this is a family show not to be missed!"